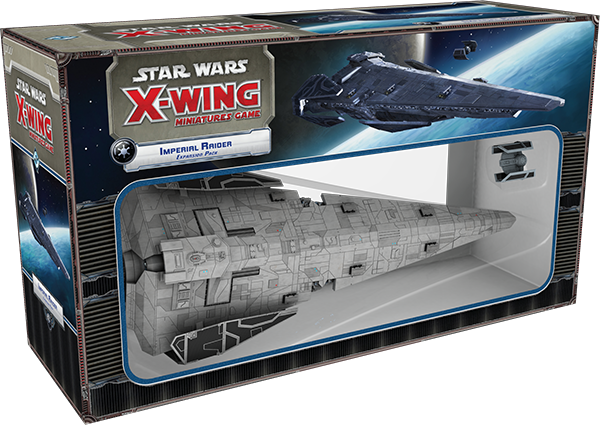 Fantasy Flight Games is bringing big ships to the Imperial side of X-Wing with the announcement of the Imperial Raider. In the same league as the Corvette and the Medium Transport, the Imperial Raider is too big for standard play, in X-Wing, so the scale has been reduced so it can fit on the table. The piece is set for Cinematic and Epic play versions of the game. Along with the Raider, you get a new TIE Advanced in the pack, plus a new set of scenarios to specifically show off the new ships.